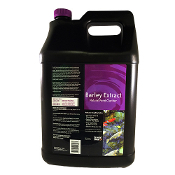 As barley straw slowly ferments or rots, it produces a natural extract which has been proven to work as a powerful treatment to clarify pond water. While effective, this fermentation process has always been slow and messy requiring the barley to be added early in the spring. Designed to eliminate these steps, CrystalClear Barley Extract was fermented under ideal conditions capturing the powerful all-natural barley extract, allowing it to work immediately out of the bottle, with no mess. 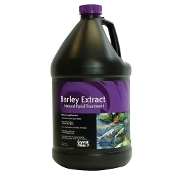 CrystalClear Barley Extract is the natural solution to maintaining a clean and healthy pond all year long. 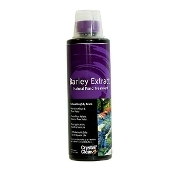 Faster than barley pellets and cleaner than cumbersome bales, CrystalClear Barley Extract is a powerful liquid concentrate that goes to work fast. 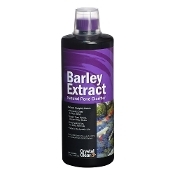 With CrystalClear Barley Extract, you can enjoy the benefits of barley straw treatments without the mess and without the wait.